The JP151 is supplied with a JP 5C Mouthpiece, hard plastic case and Ultra-Pure valve oil. 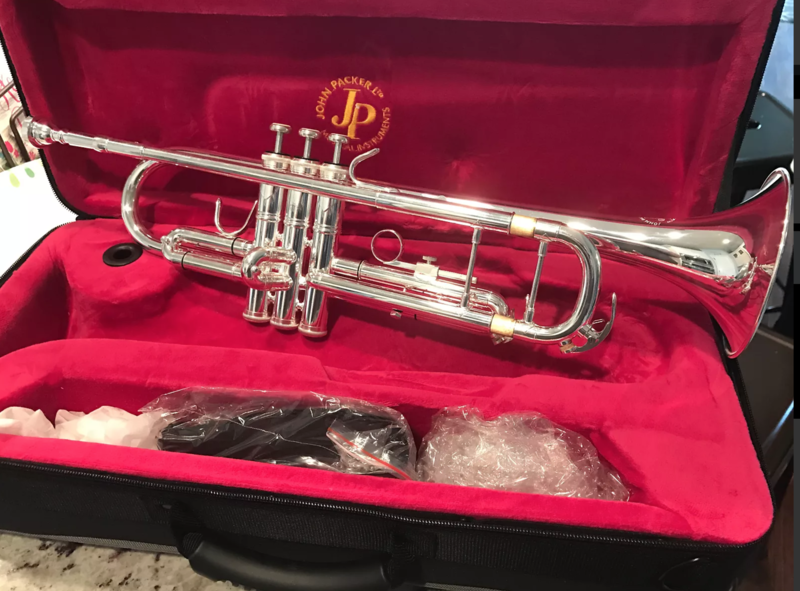 Compared to our entry level JP051 model, the JP151 provides a higher specification student trumpet for beginners and new players. The JP151 is also a favourite with schools and training bands given its sturdy built quality and durability. This instrument is more than capable of support players through to the middle grades. The JP151 was built with stability and durability in mind and features a 2 stay design to help reduce the chance of structural damage. The addition of monel piston valves also provide an upgrade from our entry level JP051 improving playability and delivering a smooth and responsive action. All JP Instruments are covered by a comprehensive 2 year warranty against manufacturing defects. Please note this does not cover aesthetic or finish faults. For full terms & conditions visit the JP Musical Instruments website.